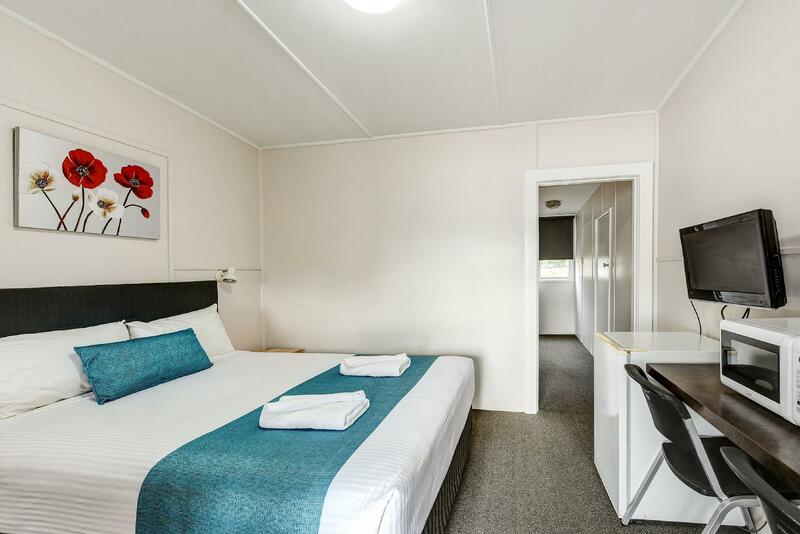 Ada pertanyaan untuk Port Macquarie Motel? 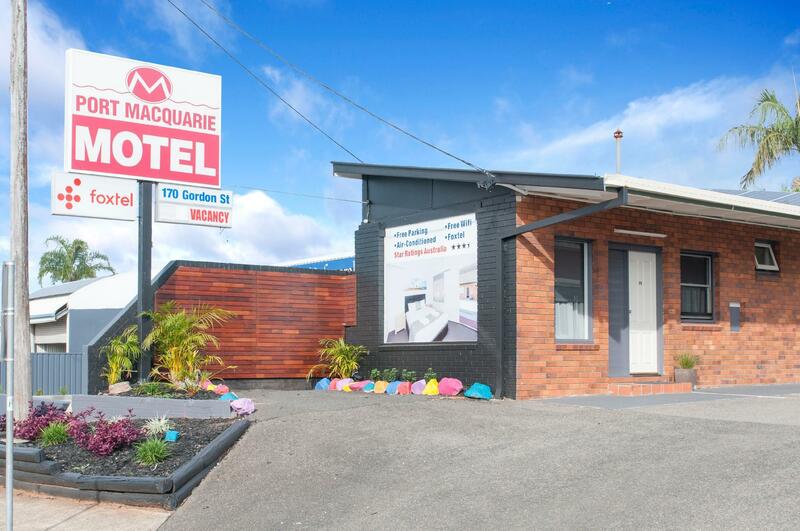 Terletak strategis di Port Macquarie, Port Macquarie Motel adalah tempat yang luar biasa untuk menelusuri kota yang aktif ini. Dengan lokasinya yang hanya 1.6 km dari pusat kota dan 4.4 km dari bandara, hotel bintang 3 ini menarik perhatian banyak wisatawan setiap tahun. Lingkungan yang terawat dengan baik serta lokasi yang berdekatan dengan Gordon St Cycles, Douglas Vale Historic Homestead & Vineyard, Kayak Tours memberikan nilai tambah untuk hotel ini. Fasilitas dan pelayanan yang ditawarkan oleh Port Macquarie Motel menjaminkan pengalaman menginap yang menyenangkan bagi para tamu. Sejumlah pilihan fasilitas kelas atas seperti Wi-fi di tempat umum, tempat parkir mobil, fasilitas BBQ dapat dinikmati di hotel ini. Akomodasi hotel telah dipilih secara cermat demi kenyamanan maksimal dengan adanya televisi layar datar, akses internet - WiFi, akses internet WiFi (gratis), kamar bebas asap rokok, AC di beberapa kamar. Disamping itu, hotel memiliki berbagai pilihan fasilitas rekreasi yang menjamin Anda melakukan bermacam hal selama menginap. 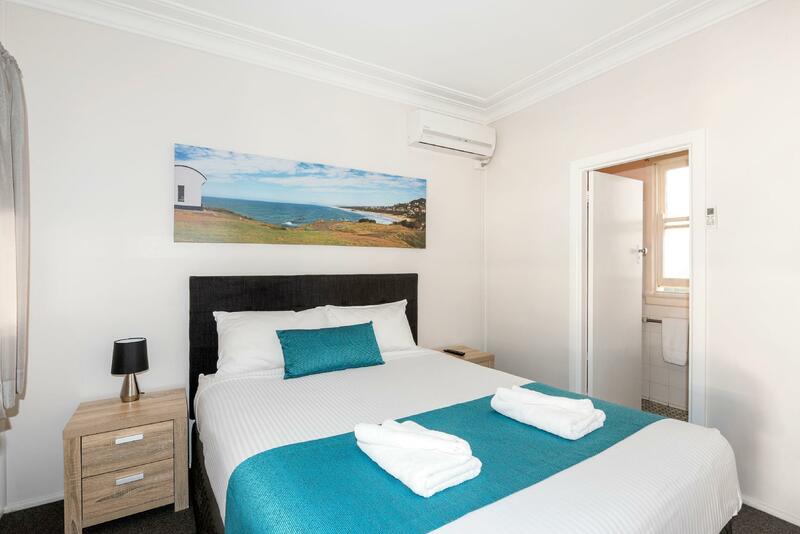 Port Macquarie Motel adalah tempat menginap ideal bagi para wisatawan yang mencari pesona dan kenyamanan dari Port Macquarie. Tamu berusia 17 tahun ke atas dianggap sebagai tamu dewasa. Diperlukan uang jaminan keamanan dengan kartu kredit pada saat check-in untuk biaya pengganti kerusakan selama menginap dan akan dikembalikan pada saat check out. Check-in terlambat hanya tersedia berdasarkan permintaan terlebih dahulu. Staff were kind and helpful but there was no one at reception when we arrived. 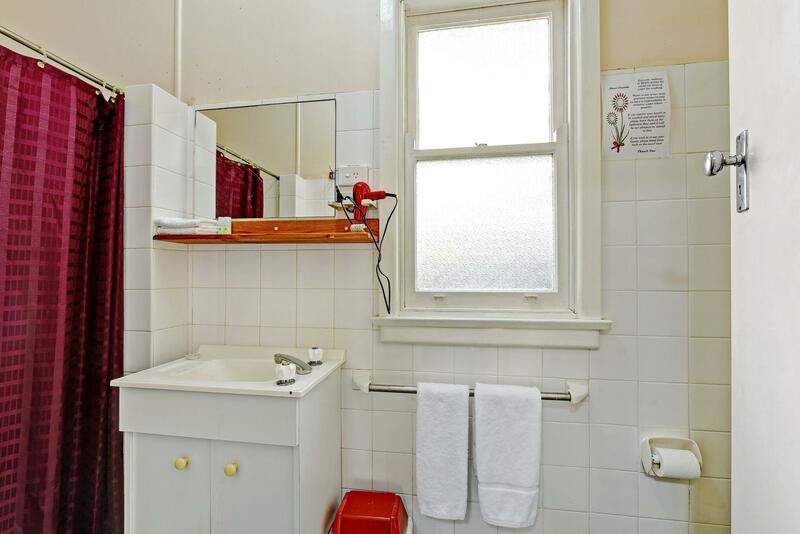 Bathroom was so dated and bed had hair and stains. Rooms were non smoking but if someone smoked outside you would definitely smell it in the rooms. You could hear every noise possible in the rooms as well. Cold breeze coming through the gaps in the door, had to use towels to try & stop it from happening. Was very noisy being next to the Highway. Comfortable bed & warm shower! Spend $178 a night on a no more than average motel, got abused by cleaning staff in the morning at 9:55 for not leaving the motel. Check out time is 10:00.... tried to call motel back since I left my own towel there four times! Never got picked up, left a phone message, never got call back! Please stay away from this motel if you can. The accommodation was clean, tidy and had all the necessary requirements for us including a kettle and microwave which helped with preparing food and bottles for my young child! It was exactly what we needed after a long drive. Definitely value for money!! A short walk to a few cafés and fast food places. We booked and paid for the family room (1queen and 3single bed) but we ended up in a standard family room (1queen, 1single bed) because they gave our room to another group. The cleaner was the one minding the front desk and of course she cant do anything about it. Didnt hear back from the owner or manager. Very poor customer service. Location is accessible though. The room has a weird smell. Foxtel has 4 channels other channels weren’t working. Friendly staff beautiful place, parking on site. very convenient everything provided in the room only problem is they're very strict about check out. Nicole was very accommodating to my family's request and she makes sure we are comfortably settled in our room. It's really nice to stay here. I highly recommend to any visitors who come to Port Macquire. the room is ok size for 2 adults. check in was easy. 10 to 11am late checkout is additional 35$. after 11am it's full day charge. room was quite well equipped with mini fridge, microwave, hot water kettle, toaster, tv, plates and cutleries. there was a strong smell in the room..of mould? or insect? the bathroom was small, didnt feel too clean but hot water was good. but they provide towels, tissues and soaps. overall it is good for drivers to rest and get some sleep/bath. wifi works good although not too fast but enough. we had a restful sleep after a long drive. motel is old but looked tidy. smelled like insecticide when we checked in. linens shower were clean. lots of good takeaway place nearby thats also good value for money. No frills motel, clean. Room 10 was innermost, quiet. Room 14 was near the street, at night you can hear the cars going by, might be jarring to the light sleepers. Location was ok, about 5 minute walk from a IGA and some eateries, with a busier area about 5min drive away. Great affordable place to stay. Old and dated but the place is central, comfortable and the older man who greeted my arrival was very kind, professional and extremely helpful. Parking and wifi in included in the hotel cost. The room had an over powering smell of chemicals yet the bathroom wasn't very clean. The tv had a handful of Fox channels & they barely had reception. The reception woman wasn't very friendly. The parking was very tight,but was your only choice as the motel is located on a very busy road. Great for a night or 2, wouldn't stay longer. Basic small motel, room spacious and had everything we needed (including a large cobweb in bathroom). Sign at reception says all bathrooms are going to be redone which will be a massive improvement. Luckily we were at back of motel so had no noise from traffic or street. A short drive into town. Carpark is very small so if you have a large car best to reverse in. Reminded me of motel based family road trips of my youth. Very comfy bed, fluffy, generous bath towels, effective a/c and milk for the morning coffee. Room was spotless.